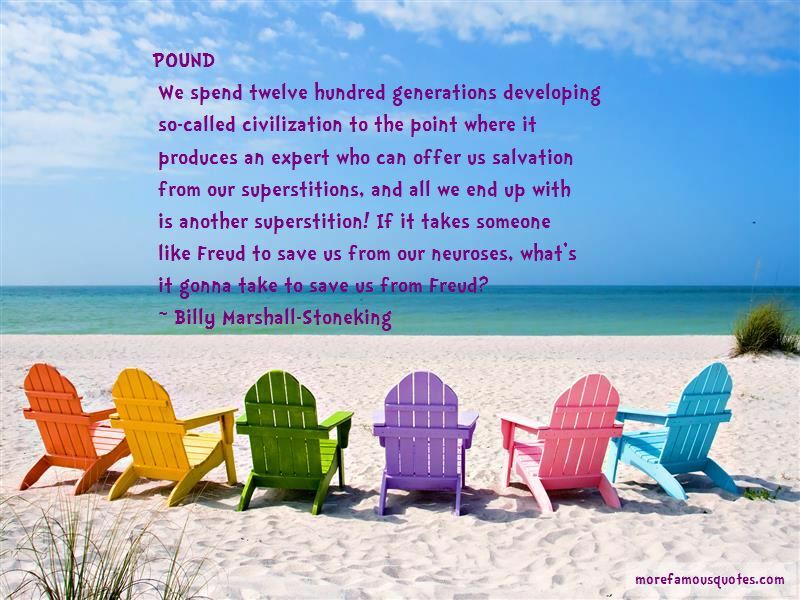 Enjoy the top 23 famous quotes, sayings and quotations by Billy Marshall-Stoneking. Your audience is your adversary. If you don't have one get one - imagine it. Imagine it now. To whom is your story addressed and why? Audience is always a creative act of the imagination. You can't tell your story effectively and leave it out. It must be alive in you, vividly alive. It is in conflict with everything that is false in what you have written. If it is an audience worthy of your talent and potential, it won't let you slide by the lies, the laziness, the shortcuts. If you don't take audience seriously, you can be sure it will return the favor. The answer to the question, 'where's the drama?' is another question: 'what's the problem? 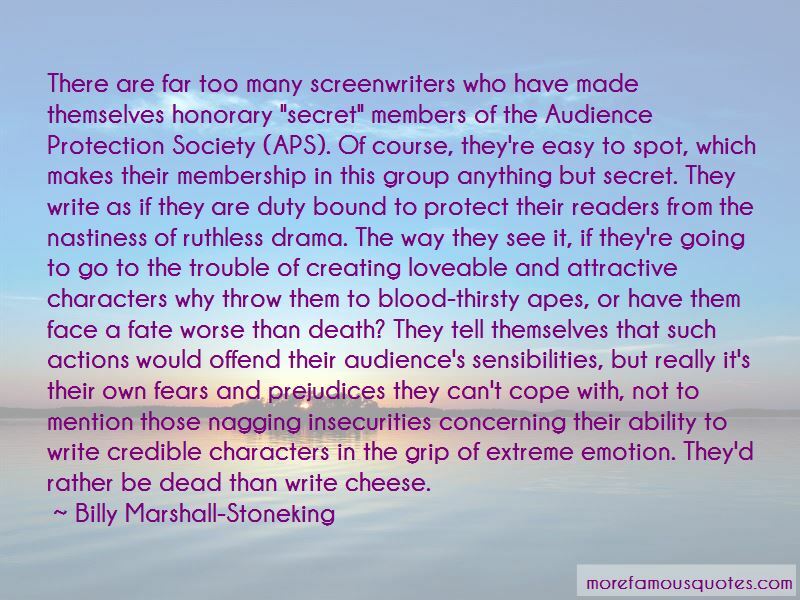 The story writes you as much as you write it. And the process of re-writing isn't so much a quest to re-write the story as it is to re-write the writer. 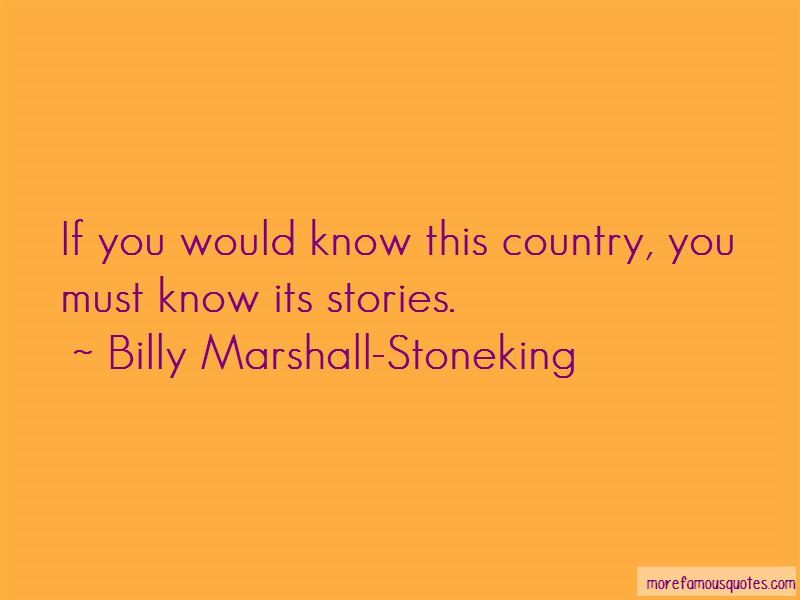 Want to see more pictures of Billy Marshall-Stoneking quotes? 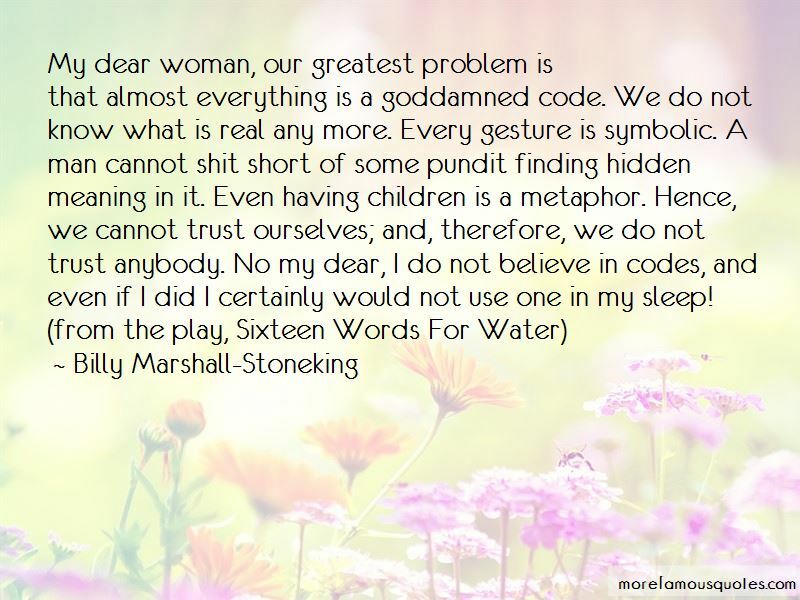 Click on image of Billy Marshall-Stoneking quotes to view full size.